The encounter between Roberta Meloni, president of Centro Studi Poltronova, and the architect Hussain Harba has led to “Bloom”, a tribute to Joe: a haute couture dress for a limited series of 24 chairs, 4 units each for 6 color variants. Harba works exclusively on the surface of the object, but in a profound way, and it is this elegant, delicate force that makes his project so effective. 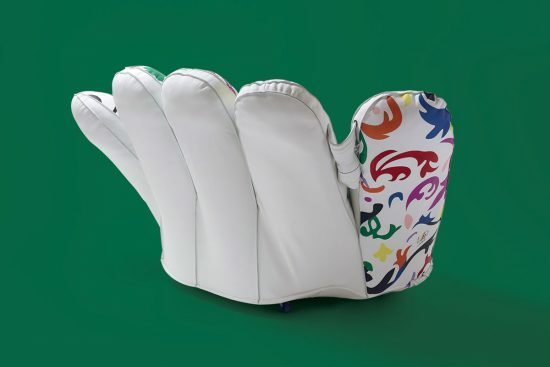 It could be defined as a dynamic design: the shoots of stylized flowers seem to bring new lightness to the entire chair. The floral raiment manages to add sensory and emotional impact to an already strong object, without altering its original character in any way. Experimentation and the desire to get beyond traditional boundaries are true earmarks of Poltronova. 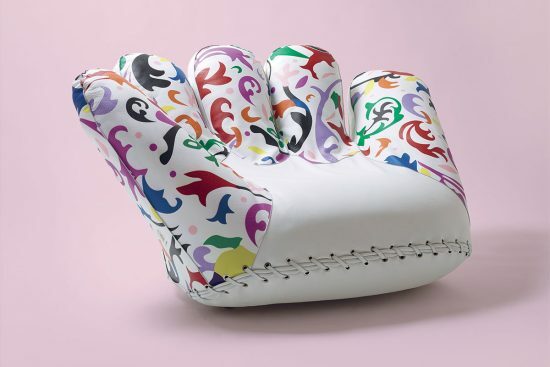 The company has always encouraged contaminations in a very free way, and in this case we can see the encounter of two cultures, East and West, joining forces in honor of a true design icon. Each armchair is a one-of-a-kind piece, made by hand with extreme care, using materials of the highest quality. 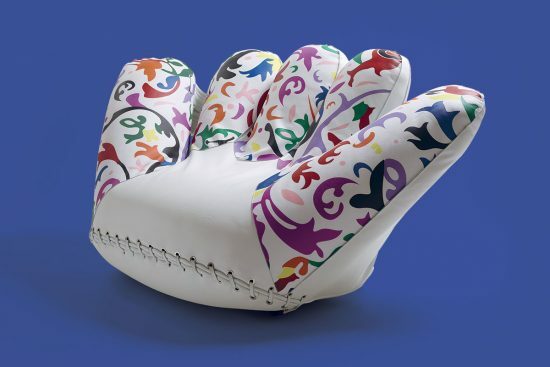 Besides the three branded marks of Joe, for this limited edition each chair is also numbered and signed by Hussain Ali Harba.